Lexington Park, MD- The St. Mary’s County Sheriff’s Office is seeking the identity of the person pictured. 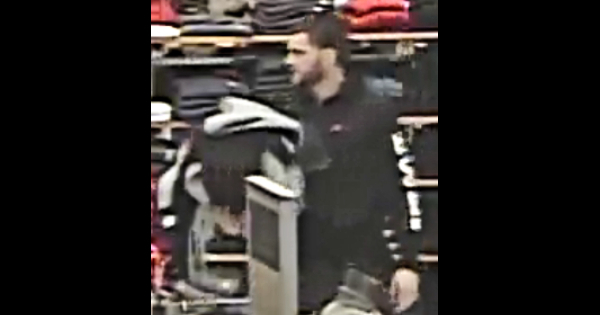 The suspect stole clothing from the Lexington Park Kohl’s store on several occasions. The suspect loaded his arms with various articles of clothing and left the store without paying for them.